The Food Alphabet and More: Stay at Taal Vista Tagaytay for only P78 on your second night! Book a stay between January 2 to December 20, 2018 and get your second night at Php 78 nett only! Booking period is from December 26 to 30, 2017 with a minimum stay of 2 nights. 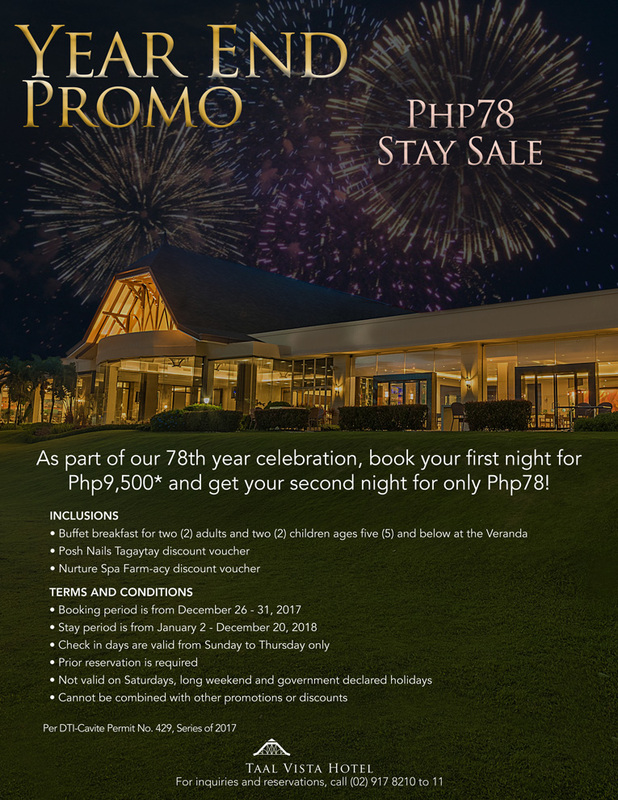 Visit www.taalvistahotel.com/promos or call (046) 413-1000 for details.